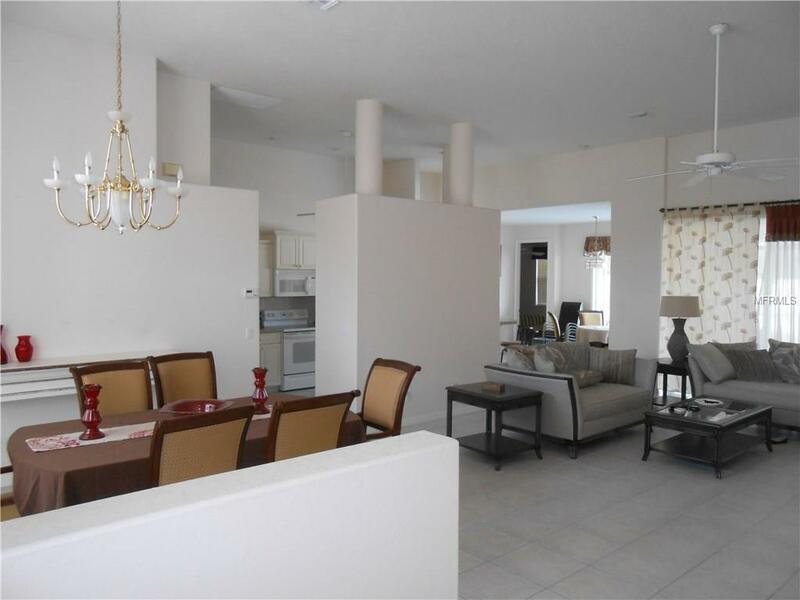 This stunning 3 Bedroom, 2 Bathroom, 2 Car Garage furnished home is spacious with cathedral ceilings and an open floor plan! 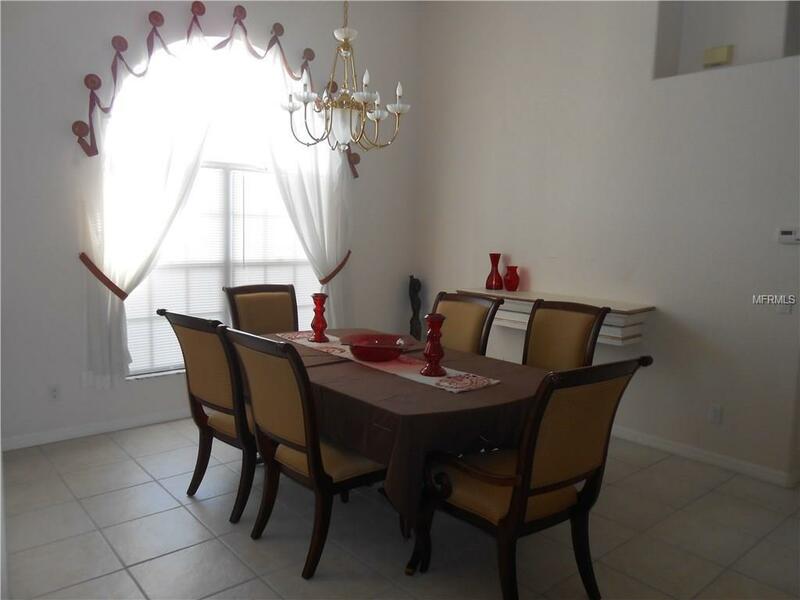 The home is close to shopping centers as well as the highway giving you ample day trip opportunities! 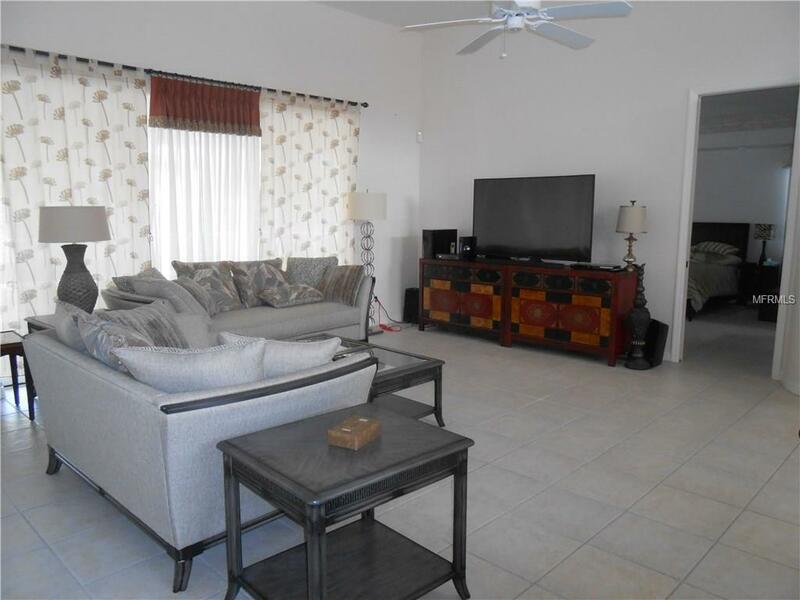 Enjoy the day poolside in the screened in lanai or relax in front of the large screen tv with internet access at your fingertips. This family friendly home is complete with a fenced in back yard, screened in pool and a toy stocked bedroom! Whatever your pleasure this seasonal rental is sure to provide! Call today to book your stay! Available throughout the year on a monthly basis. Call for available dates.